Watch full Ginga Eiyuu Densetsu Season 3 Episode 20 English Subbed full HD online. Ginga Eiyuu Densetsu Episode 74 English Subbed online for free in HD. The Long Road Ahead. Reinhard considers when and how to take El Facil and Iserlohn. Yang considers the position of his forces. 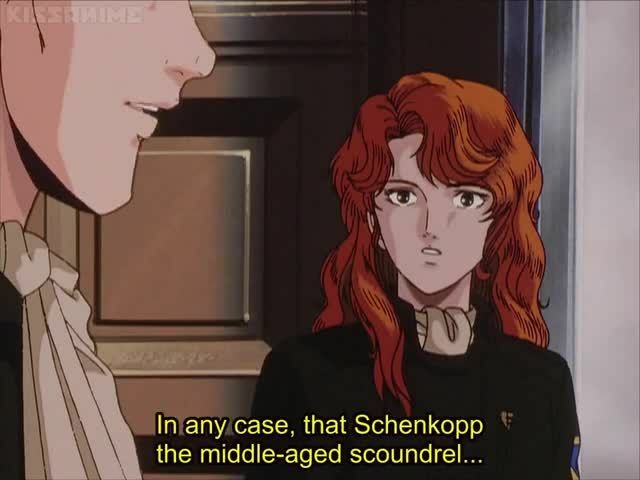 Katerose von Kreutzer confronts her illegitimate father, General Schenkopp. The Iserlohn reviews the Terraism data disk, discovering troublesome information: Phezzan and the Earth Cult have been working together for over a century. Yang, Frederica, and Julian talk about the role of military within government as well as Reinhard’s next step. In a secret location, Rubinsky discusses his influence and agents. Meanwhile, within Reinhard’s office, a letter arrives which postpones the expedition to Iserlohn.